Just because you don’t have a Kindle—or, for that matter, a iPhone, iPad, or Android phone that’s capable of running Amazon’s Kindle app—doesn’t mean you can’t still read a Kindle book. 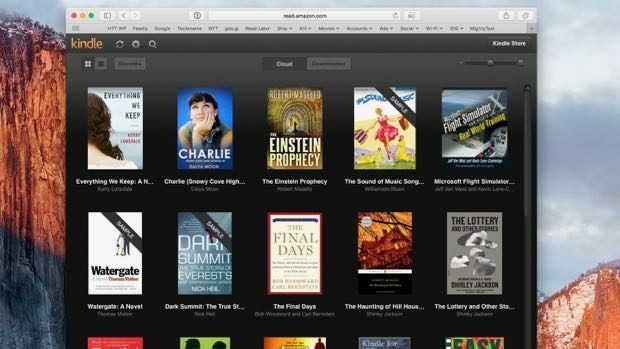 Thanks to the Amazon Cloud Reader, you can read Kindle books on the web using Safari, Firefox, Chrome, or Internet Explorer. Ready to crack open a Kindle book in your Web browser? Let’s get started. First, launch your favorite web browser, then visit the Amazon Cloud Reader site at http://read.amazon.com. Next, sign in to your Amazon account—or, if you don’t have a free Amazon account yet, click “Create a new account” to sign up for one. 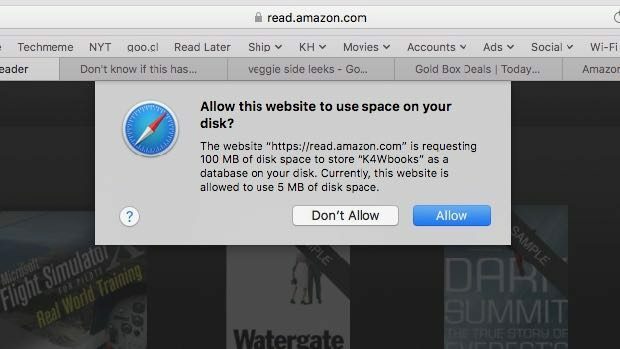 Once you’re signed into your Amazon account, a window will appear with instructions for setting up your browser to store your Kindle books for “offline” reading, when you don’t have an Internet connection. Again, click the big yellow button and follow the instructions (they vary slightly depending on your browser). If you’ve already bought Kindle books before, you’ll see them in a grid in your browser; just click a book cover, and presto—you’re reading. No Kindle books yet? Click the “Kindle Store” Button in the top-right corner of the page to begin shopping. Once you’ve chosen a Kindle book to buy, make sure to select your Kindle Cloud Reader in the “Deliver to” drop-down menu, which sits right below the “Buy” button. Don’t worry, you can always send your purchased book to a new device under your account by selecting “Manage Your Content and Devices” under the “Your Amazon” menu near the top of the page. 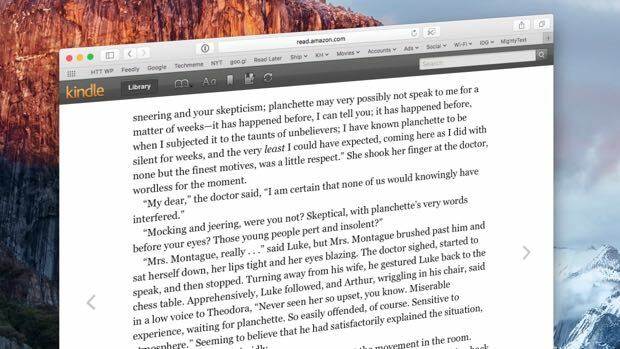 As with the physical Kindle e-reader, the online Cloud Reader lets you add bookmarks as you read, and you can change the font size or background color of the pages. The Cloud Reader will automatically download the most recently opened books in your Kindle library for when you don’t have an Internet connection (provided you went ahead and enabled the Cloud Reader’s offline reading mode). You can also manually select, or “pin,” a book for offline storage; to do so, just right-click on its cover in the Cloud Reader library. Done reading? Then just close the browser window. And yes—you can always read your Kindle books from another browser or even a different PC or Mac once you log into your account.